I liked the cleanliness, extra confortable bed, regular towel replacement and trash collection. Extremely friendly host, always keen to help. Would definitely come back again. The place was clean and tidy. The view from the balcony was wonderful. Less than 50 meter away from the beach. The flat was located in peaceful and quite area. The restaurants in the area were plentiful. 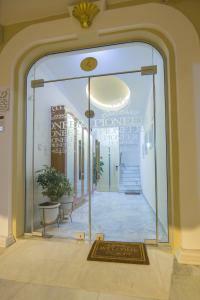 The place was excellent, the host lovely and the cleanliness was exceptional. The room was very clean, friendly guest, good location with plenty of restaurants and shops nearby. The apartment was great for my family. It has all conditions. We were 4 adults and a child and all of us felt very well there. Pinelope was very happy to help us with info about everything :). We had view at sea and at the mountain, two min to the beach. We had a nice, relaxing holiday. 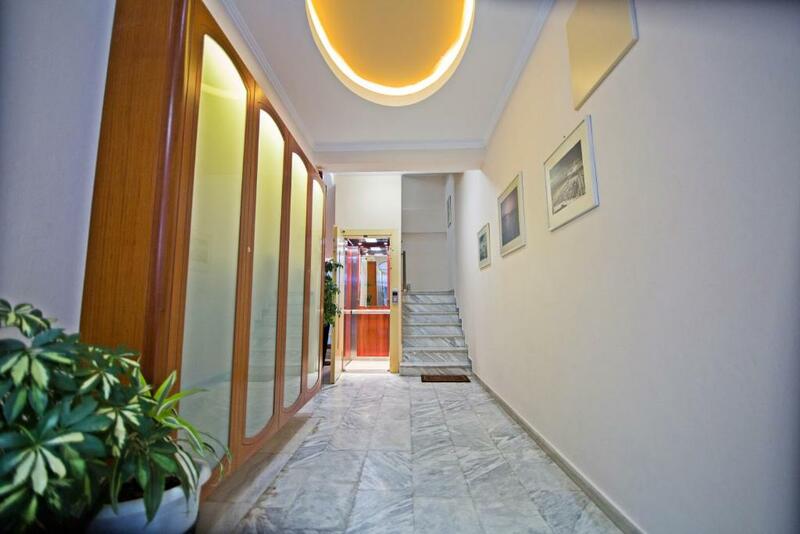 Beautyful place, modern, clean, close to the beach, very friendly hosts! The sweetest host ever! She is simply a joy! She welcomed us in her office with cofee, cookies and juice until our room was ready (we arrived at 7 AM). We've booked the appartment on the 4th floor and we were very happy with the choice. 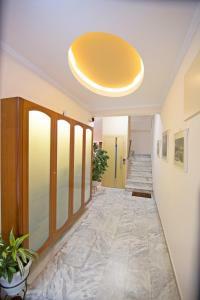 The apartment has 2 bedrooms and the biggest terace ever, with mountain and sea view at the same time. It's very close to the beach, less than one minute, it's very clean and cosy, the kitchen well equiped. We had a wonderfull time and will surely go back next year! The location of the hotel was very good - just 2 minutes away from the beach. The room was not very big, but comfortable and clean. The staff was also very nice and helpful with everything. Lock in a great price for Pioneer Excelsior Rooms – rated 9.4 by recent guests! Located in Paralia Katerinis in the Macedonia Region, 650 feet from Agia Fotini Church , Pioneer Excelsior Rooms features a sun terrace and views of the sea. Free WiFi is offered throughout the property. The accommodations has a satellite flat-screen TV. Some units have a dining area and/or terrace. Towels are featured. Thessaloniki Airport is 63 mi away. 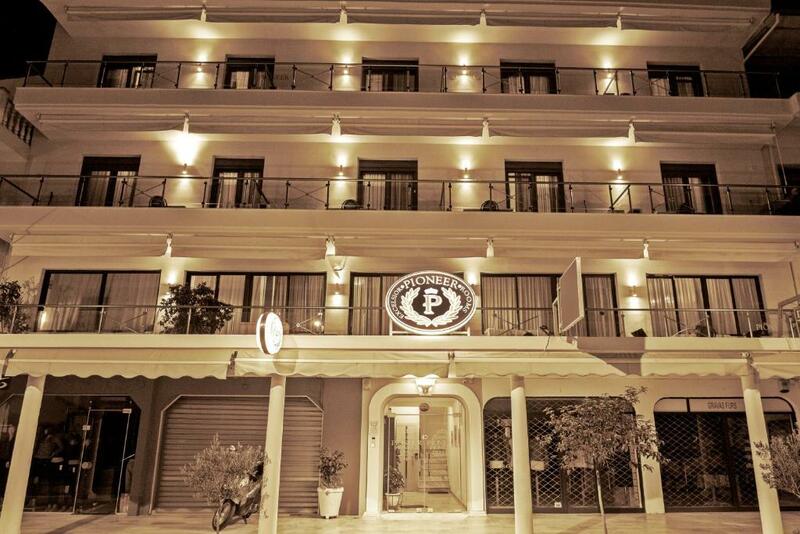 This is our guests' favorite part of Paralia Katerinis, according to independent reviews. This property also has one of the top-rated locations in Paralia Katerinis! Guests are happier about it compared to other properties in the area. 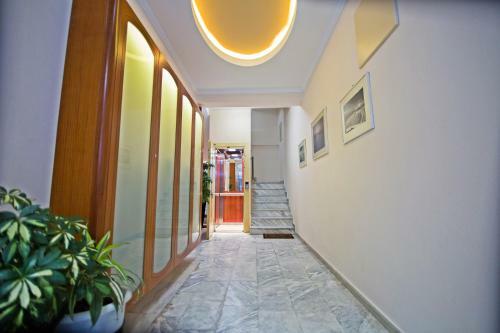 This property is also rated for the best value in Paralia Katerinis! Guests are getting more for their money when compared to other properties in this city. 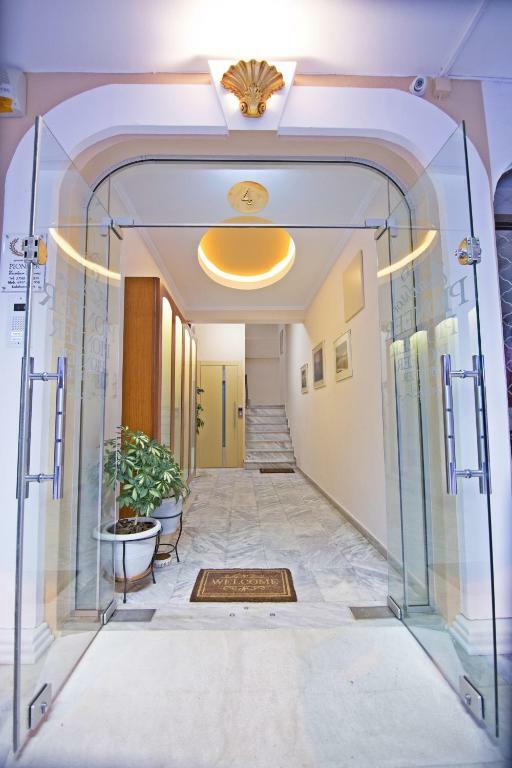 뀐 Located in the top-rated area in Paralia Katerinis, this property has an excellent location score of 9.6! 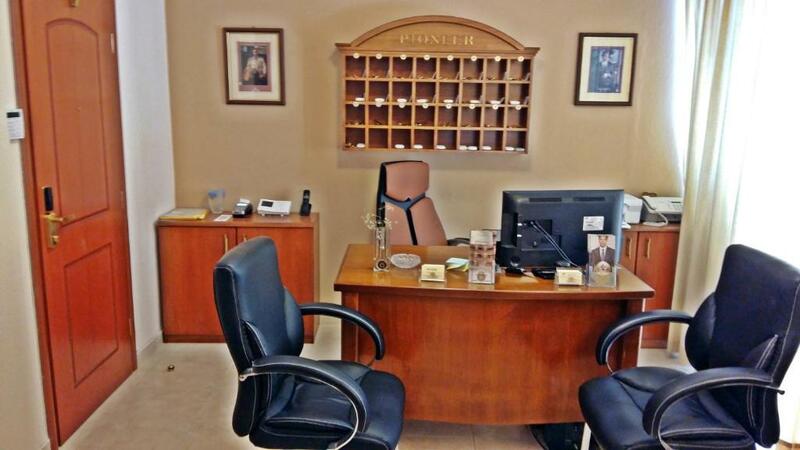 When would you like to stay at Pioneer Excelsior Rooms? This apartment has a satellite TV, balcony and kitchenware. This apartment has a view, balcony and air conditioning. This apartment has a kitchenware, kitchen and air conditioning. This apartment features a kitchen, soundproofing and balcony. This apartment has a satellite TV, kitchenware and air conditioning. This apartment features a balcony, air conditioning and soundproofing. 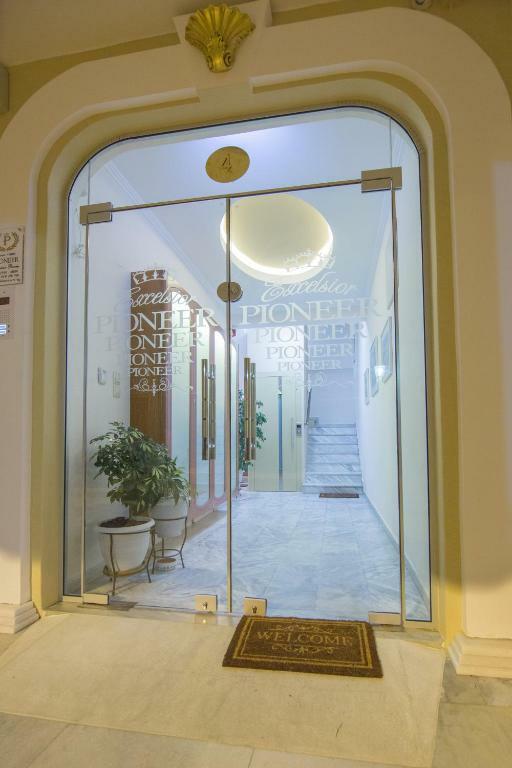 Pioneer Excelsior Rooms luxury apartments, fully renovated and under new management, are the top choice for greek and foreign visitors who wish to spend their holidays by the sea with excellent quality stay.Also, beds with double mattresses of 30cm because good sleep is the main concern The business has operated since 1980 and in 2015, the rooms were renovated and upgraded to luxurious. 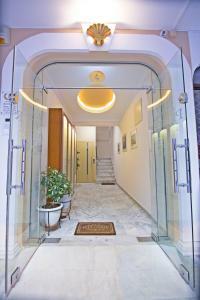 It is located in the centre of paralia near clothes stores, shoes stores, leather stores, restaurants etc. The beach is 50 meters away and it is ideal for families with children as it has a sandy beach and shallow water. Luxurious fabrics, linen and double anatomic mattresses of 30 cm. Height were carefully chosen for your comfort. 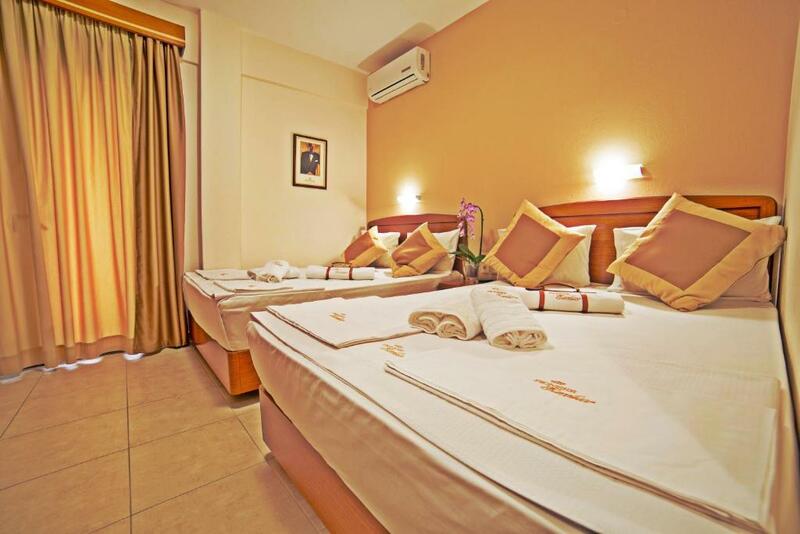 All rooms are equipped with refrigerator, tv, air condition, cooker and cooking utensils. There is also Wi-fi, sat tv, electronic locks and hot water throughout the day. All rooms have their own balcony and from the front there is a view over the sea and the central street. There is a free municipal parking 150 meters away or you can park your car for free around the building. House Rules Pioneer Excelsior Rooms takes special requests – add in the next step! 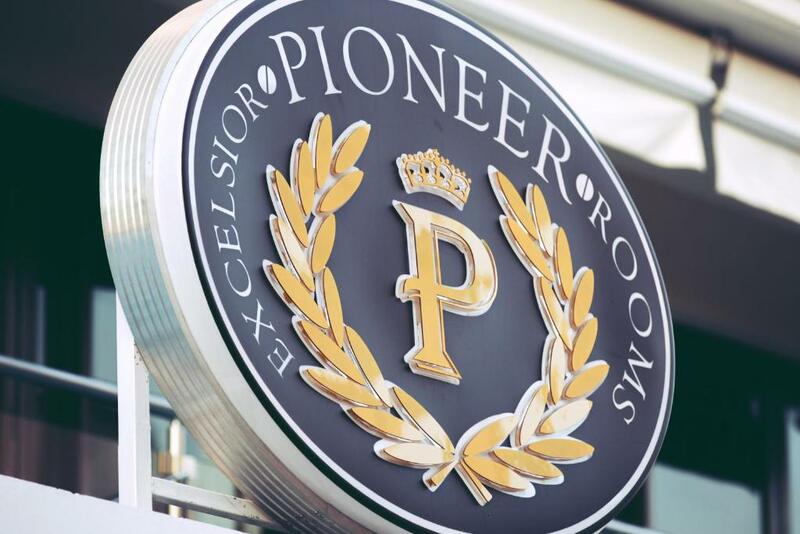 Pioneer Excelsior Rooms accepts these cards and reserves the right to temporarily hold an amount prior to arrival. Please inform Pioneer Excelsior Rooms of your expected arrival time in advance. You can use the Special Requests box when booking, or contact the property directly using the contact details in your confirmation. Some more things to use in the kitchen would be great. The room was kind of small. It had all the needed facilities for cooking though. In 5 days the room was cleaned only once. Distance from our terraces to the next building was literally 2 meters, you feel like you have been watched all the time. However that is the case for most of the prooerties in Katerini so it's not a complaint towards the hotel. Close to the beach, hosts were very friendly. Room well furnished, bathroom had all you need, very very clean and bed was comfortable enough. 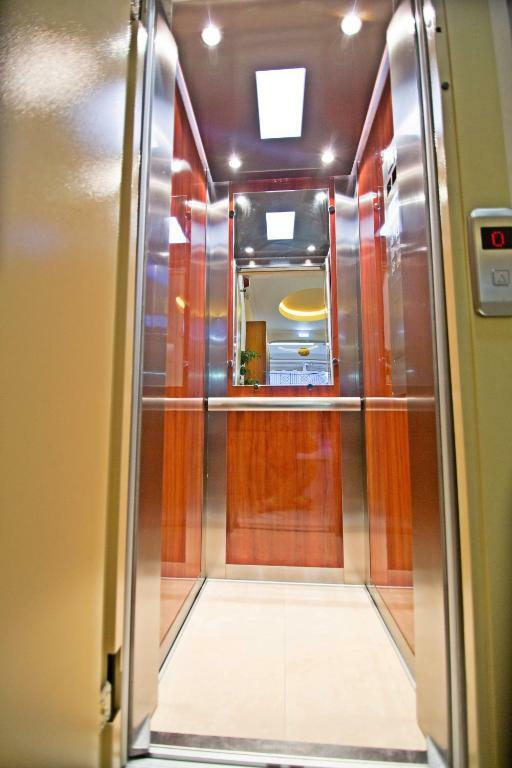 Elevator is available so you don't need to climb stairs. No private parking but host did her best to provide parking lot in hotel near by. Great location, clean room, extra polite host.